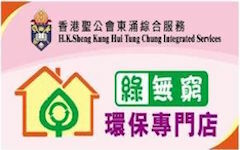 The Green Infinitive Recycled Shop is organized by the disadvantaged group in Tung Chung, they are either unemployed, single-parent or received comprehensive social security assistance. We can sell renewed goods at a very low price to residents. Therefore, residents not only save money on daily expenditure, but they also become more aware of environmental protection. We set up a team of second-hand ambassadors to collect second-hand goods from different parties, such as furniture, electric appliances, computers and daily commodities. We can sell renewed goods at a very low price to residents.